Lieutenant Colonel Koonce was commissioned a Military Police Officer in the US Army after graduating from Texas A&M University in 1990. He spent 23 years on active duty before retiring in 2013. During those 23 years, he served in a variety of staff and leadership positions, including Platoon Leader, Company Executive Officer, Battalion S1, Installation Provost Marshal, Company Commander, Military Police School Instructor, Battalion Executive Officer, Chief of Antiterrorism, Director of Detainee Operations, Battalion Commander, and Chief of Military Police Enlisted Assignments. 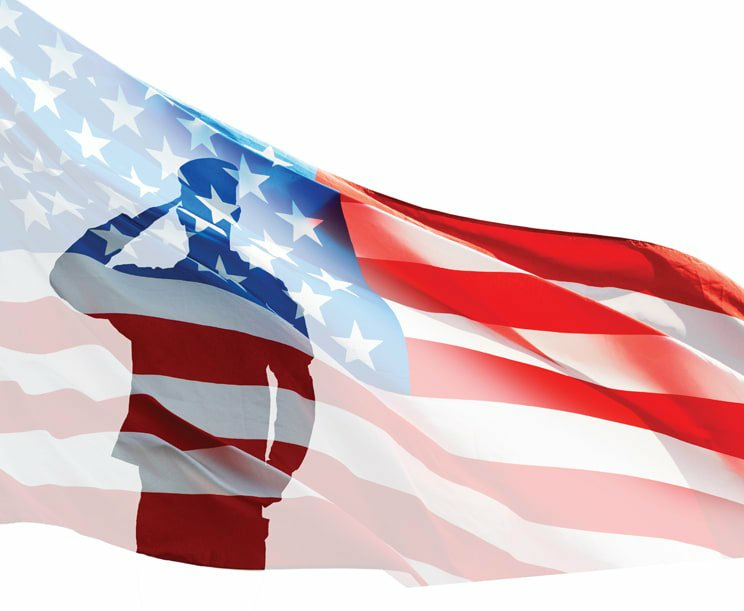 Those assignments took him to twelve different locations throughout the world, to include Fort McClellan, Alabama; Fort Lewis, Washington; Soto Cano Air Base, Honduras; Fort Polk, Louisiana; Port-au-Prince, Haiti; Kaiserslautern, Germany; Thessaloniki, Greece; Fort Leonard Wood, Missouri; Camp Arifjan, Kuwait; Camp Eggers, Afghanistan; Fort Benning, Georgia; and Fort Knox, Kentucky. 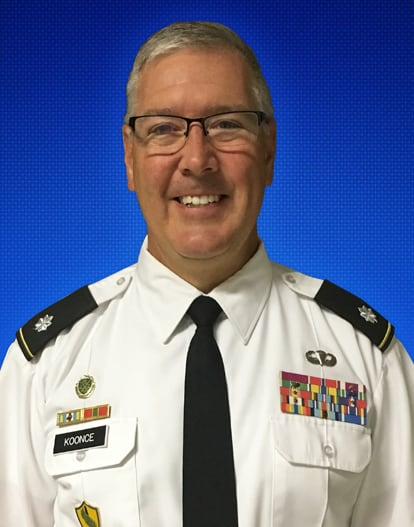 Lieutenant Colonel Koonce holds a Bachelor of Science in Biology from Texas A&M University and a Master’s in Public Administration from the University of Maryland (European Division). He is also a graduate of the Command and General Staff College. Lieutenant Colonel Koonce deployed seven times throughout his career, twice in support of JTF-Bravo (Honduras), twice in support of Kosovo Forces (KFOR), once in support of Operation Uphold Democracy (Haiti), once in support of Operation Iraqi Freedom (Kuwait), and once in support of Operation Enduring Freedom (Afghanistan). His awards include the Legion of Merit, the Bronze Star Medal, the Meritorious Service Medal (7th award), the Army Commendation Medal (8th award), the Air Force Commendation Medal, the Army Achievement Medal (3rd award), the Parachutist Badge, the German Military Efficiency Badge in Gold, and the Air Force Security Police Qualification Badge. Lieutenant Colonel Koonce is also the recipient of the Military Police Corps Regiment’s Order of the Marechaussee in Bronze.